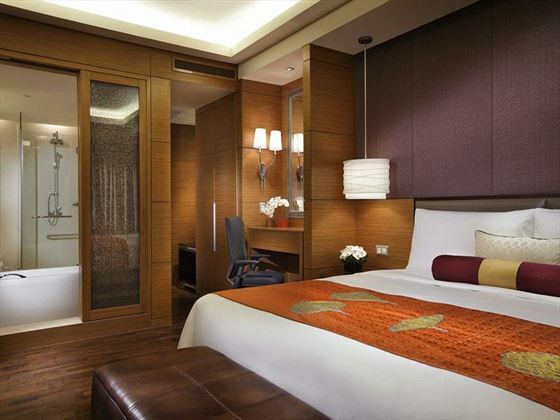 Check into the Intercontinental Asiana and you'll soon discover a blend of modern comforts and traditional service to help you find your feet in the hustle and bustle of Ho Chi Minh City. 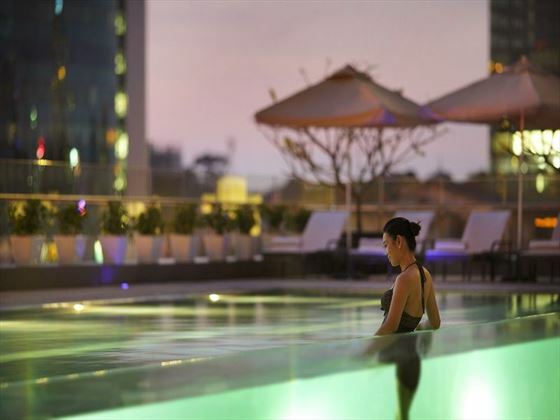 As Vietnam's largest city, there's plenty to get excited about however, thanks to some excellent spa, dining and lounge bar settings on-site, you're bound to be just as thrilled to explore your new found home from home. 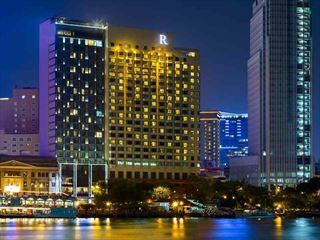 Guest rooms and suites are immaculate and boast some superb city views from floor to ceiling windows as well as presenting a more than comfortable abode from where to rest and relax as you prepare to experience the landmarks, the culture and the people of old Saigon. 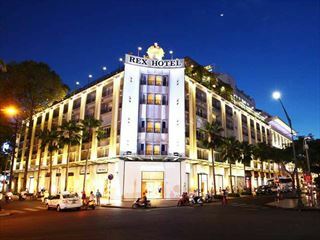 Ideally situated on the corner of Ba Trung Street and Le Duan Boulevard within close proximity to many of Ho Chi Minh City's highlights, including: Notre Dame Cathedral and the Reunification Palace. 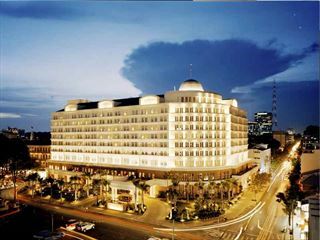 Tan Son Nhat International Airport is under five miles from the Intercontinental. Classic Rooms – contemporary living space with floor to ceiling windows, two single beds or one double bed and bathroom with bathtub and separate walk in shower. 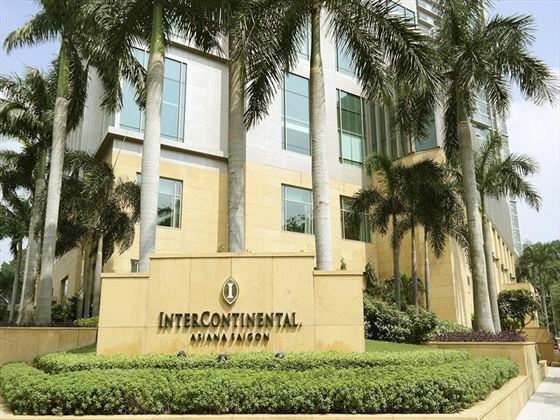 Executive Rooms – located on Club Intercontinental floors with superior city views as well as access to the following Club Lounge privileges*: high speed internet access, daily breakfasts, evening cocktails and VIP check in and check out services. Suites – located on the top floors of the hotel for amazing city views to compliment Club Lounge* access and upgraded in-room amenities, including: whirlpool bathtubs, separate dressing room, living room and dining area. 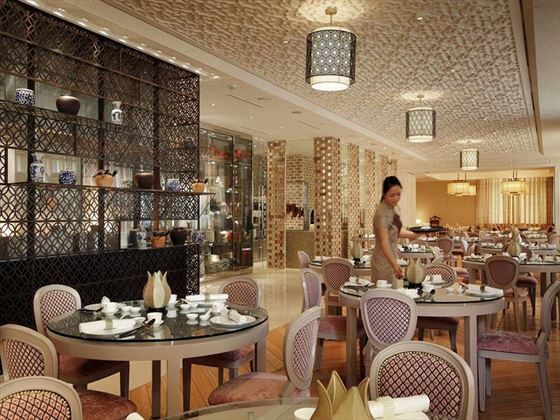 Yu Chu – authentic Cantonese and Beijing dishes presented from a contemporary show kitchen for lunch and evening meals. Market 39 – international and Asian buffet and a la carte dining with appetizer and seafood specialities served all day from an interactive open kitchen. Basilico – all day dining Italian style with typical family favourites and generous portions to match. The Library – fine wines, Earl Grey tea and a well deserved nightcap within a colonial style lounge bar setting. Purple Jade – snacks, drinks and cocktails served in a contemporary international bar ambience. Spa Intercontinental – many hands massages, rejuvenating therapies and signature spa services help guests to relax, revive and unwind. Steam room, sauna and spa pool. 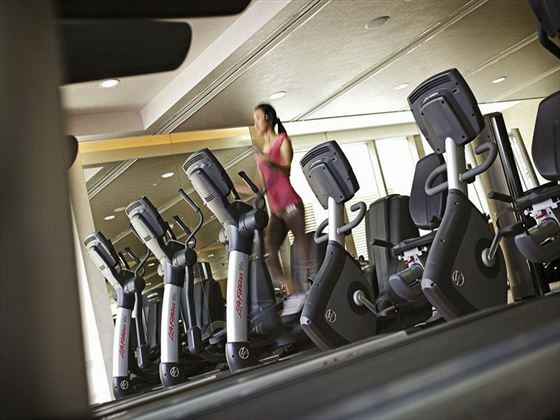 24 hour fitness centre with an excellent choice of equipment and machines within a spacious work out area.